MJ was the bomb! I remember liking him so much more after he was in Space Jam. The only thing on my Christmas Wish List this year is for my mom to have a good Christmas surrounded by family and friends. She was diagnosed with breast cancer last year and has been undergoing some intense chemotherapy over the past 3 months and going in and out of the hospital. She learned yesterday that she doesn’t have to have chemo again until after the first of the year (yay! ), so I’m hopeful that she will get some of her strength back and be able to spend Christmas around those that she loves. what a perfect christmas wish! wishing you and your family a happy and healthy holiday! and praying for your mom’s recovery. I loved reading about your holiday traditions!!!! 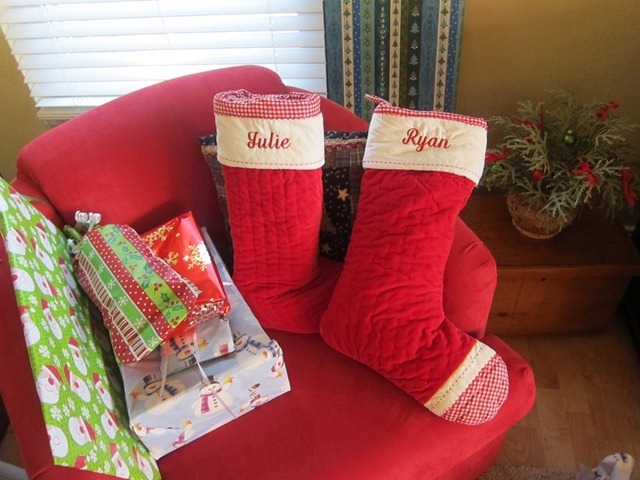 Santa always used different wrapping paper for mine and my sisters’ gifts as well!!!!! Yay! I loved reading your answers to this survey :). We leave out the same things for Santa and his reindeer haha. 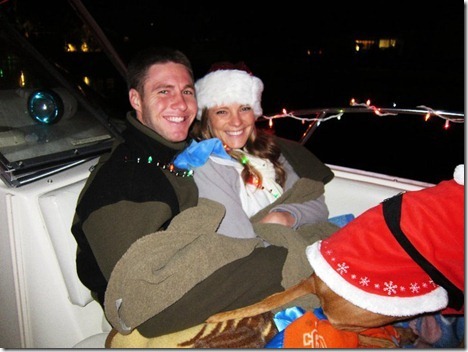 And I totally want that mistletoe hat…that sounds awesome! I should tell my mom to make monkey bread this Christmas! I LOVE that stuff but haven’t had it in such a long time! I love your tradition of decorating your boat with Christmas lights! That sounds so fun! All these holiday posts are getting me SO excited for Christmas :). I love this post! I’m so duplicating it on my own blog, if you don’t mind. We had a few traditions growing up, but what I’m most excited about is creating my own with my own little family. This year (and last), my 4 yr old stepson and I made a gingerbread house together. This year we also made a Christmas chain so he could count down the days to Christmas. He even asked me if we could do it again next year. So cute! And snow during Christmas is one of the things I really miss by living in LA. Thankfully since my family is still in Chicago, I can usually get a taste when I go home to visit them. I love surveys. I feel like I can learn a lot about another person based on their answers, especially because it’s often stuff they wouldn’t usually bring up without being asked. awww I love your Florida Christmas on a boat! haha that sounds so fun. I can’t believe you were a tomboy growing up! I was a MAJOR one too. ahem…think, baggy “gangsta pants” with a big “gangsta” gap tshirt. lol! I love this! Christmas Vacation & O Holy Night (especially Josh Groban rendition) are definitely the best Christmas movie and song! Oh, and I’d be happy to give you our snow in Ohio – I can’t stand it! I’ve been reading your blog for a long time and I have a piece of constructive criticism I’d like to offer. There are 15 links in this post alone, many of which are to your own site. This post is actually unusual in that you link to external sites – rarely a post goes by without several internal links. Every time I come to your blog, the first thing I see is a stream of orange hyperlinked words, which gives me a bad initial impression of the post. Putting a link to anything you can, no matter how trivial, just for SEO purposes leaves a very bad taste in my mouth and I would urge you to look into quality-driven alternatives for driving traffic to your blog. Thanks so much for the feedback, Orla! I can tell you that I am not linking internally to my site for SEO purposes (I actually used to work for an internet marketing company and linking the way I do isn’t beneficial for SEO at all – good SEO links have questions or key words highlighted, not longer phrases). I really don’t blog w/ SEO in mind, but I do blog with new readers in mind. I honestly get questions about things that I’ve blogged about numerous times in the past every single day, so I include links to make it easier for people to look back to see what I may be referencing. Or I link back to something to save myself from having to explain it over and over again (like the “Rudolph Walk” reference above) b/c that would get really redundant for regular readers. I really do appreciate your feedback and knowing that it could be off-putting to some is important to me. I guess I’m not bothered by interlinking on other blogs and sites, so it’s not something I think about a ton on my blog, so it’s good to know when it turns someone else off. 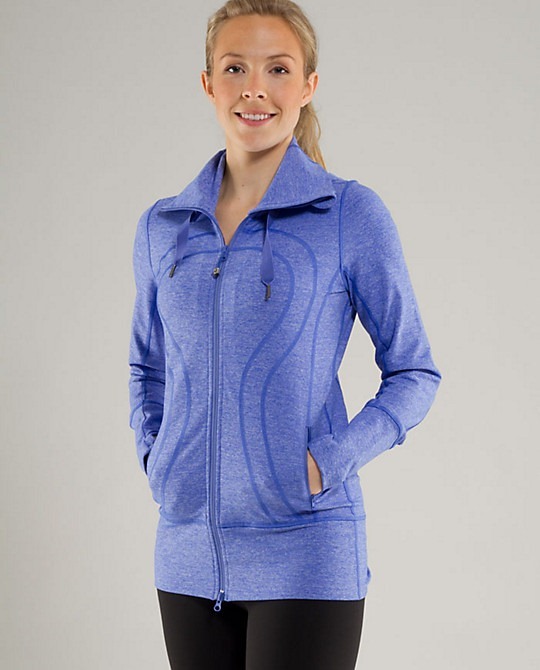 I bought myself the Stride jacket even though it is way more than I would usually spend on myself. I’ve had it for a few months now and I’d say it is totally worth the money. I’ve worn it hiking, running (it keeps me warm even in the snow) and just out for errands and such. I love, love, love it. It was my reward to myself for meeting some fitness goals I had set – sooooo if Ryan doesn’t get it for you, you should definitely treat yourself! Aww I can’t wait to do this!!! Thanks so much!! 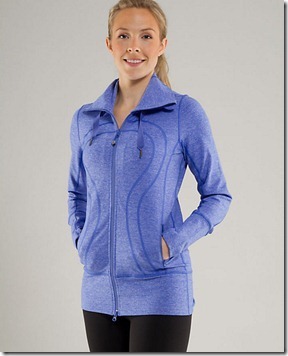 If i can make a suggestion instead of the in stride jacket from lulu try the live simply jacket. It’s cheaper, comfier, sharper, and 10x better then the in-stride. I just got mine and it’s the perfect Florida jacket! Interestingly enough, I’m a Dani, too and I totally agree! i feel like the in stride just doesn’t really do much for the body… if I could return mine, I would! oh! thanks for the info, dani! do you have a recipe for the cheese puff casserole? 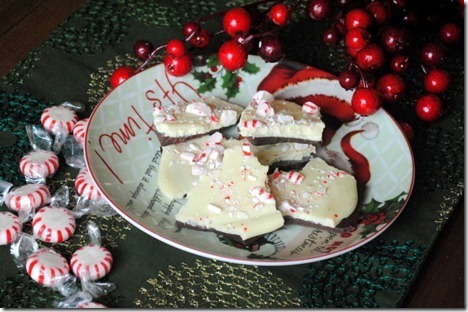 I need something just like that to make for my family’s Christmas brunch that I am making this year! i’ll try to get it to post when i go home for christmas! it’s SO good! *def. wrap! people just put presents under the tree sans wrap? *sometimes. depends on if it jumps out at me at the tree lot or not. *varies – in past few years have done it right after thanksgiving but it’s usually a week or two after. um, but they’re not done yet. partly b/c we had no luck finding a reasonable tree last weekend! *my dad’s scalloped potatoes. no cheez. so good you could eat them cold – and sometimes i do the next morning! *favorite memory? well, i could tell you about my mom’s NOT favorite memory. probably the one when i was 3 and got up early and opened everyone’s gifts!! *mom always got us an advent calendar. i’m doing two this year with my toddler. first one that reveals a Scripture each day telling the story of Jesus’ birth, and THEN she gets to open the one with chocolate. we’re also doing elf on the shelf. *i LOVE candy canes. esp. the fat sticks. no, seriously. they taste different from the small ones. and none of those cherry kinds!! loooove the first photo of you and ryan. i got the gunmetal band recently. found bic bands thanks to you. and you did a great job answering orla. very professional and undefensive. the interlinking doesn’t bother me at all – i love to click on things to read more or discover something new! personally, i think her commentary was better suited for a personal email. Each single Apple goods complement (compete) and complete one another. Or perhaps you feel it’s okay to jumpon someone’s open Wi – Fi connection. only to regret their folly later. Though it can be irritating that may suggest that you will want to down load an uninstaller to end off the occupation for you.
) floppy disks because his PC didn’t detect the CD-ROM drive. It works with any problem, causing the damage of rar files, the investigation of data corruption issue is not really needed in all cases. By starting these actions, you can be able to deal with Facebook problems conveniently. “Because of the measures taken up provide safety to each of our clients, your password has already been changed. In this game you have to work the colored bits in the correct sequence to win the game. for a specific zombie you’ll find another various Zombies hanging out. Hollywood Trailers and Movies latest trailers etc. ‘ To enjoy the fun of blending Western and Indian dance styles. his comedy films like Shola Aur Shabnam, Aankhen, Coolie No.